I first heard about this new idea for tea on Twitter. Someone I know on there was saying how good the teas were, and Bistro Tea very kindly offered me a review sample. I was sent four teapods (they are not bags), in various flavours. It was obvious to me that the first one I was going to try was the Apple Cinnamon, as it contains my favourite spice. Now whats special about the tea, is the fact there are no bags involved. 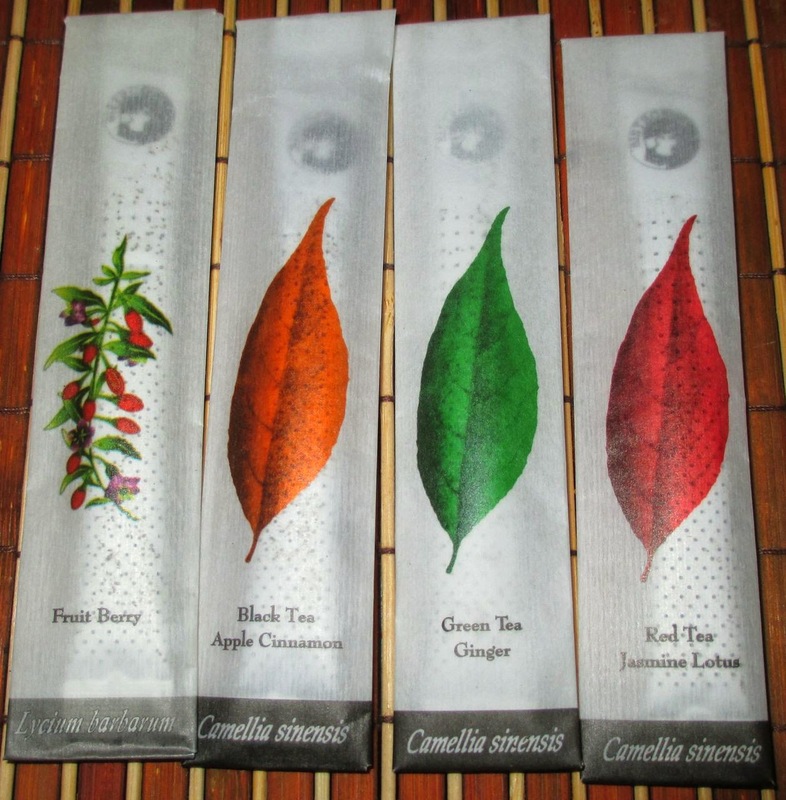 The tea comes in a paper sachet, inside which is an aluminium pod with holes in it full of tea. The holes don’t let the tea escape, they just let the water in to allow it to infuse. Now as the teapod is quite sturdy it also means you don’t need a spoon. Simply add boiling water to a mug, dunk your teapod into it and stir until you are happy with the brew, there are recommended times on the sachet, but I do think it is a bit of personal thing. 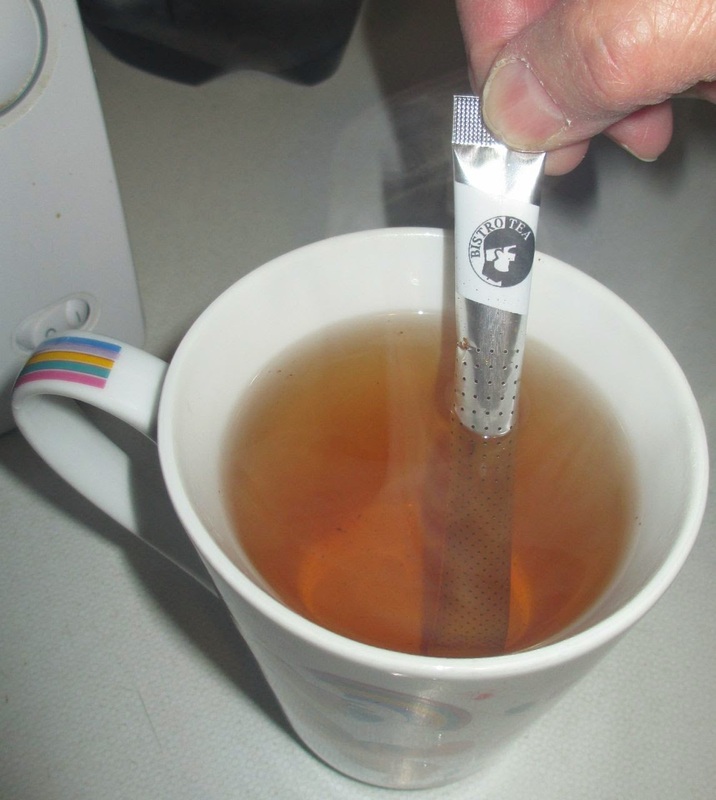 Once ready simply lift out your teapot, which doesn’t drip, and pop it into the recycling along with the paper sachet it came in, which is a very novel and neat way of making a cuppa. The tea itself was also rather tasty. I let mine infuse for just over 3 minutes, until the drink looked a decent shade of brown. The flavour was fresh and fruity, with a lovely warmth from the cinnamon. It was a good mix of flavours, and felt like a nice warming drink, but with enough apple to make it refreshing. I’m looking forward to giving some of the other flavours a try too - but I know Spectre has his on them as well! Watch this space to see which one of us reviews the next flavour!